Suvirux™ is indicated for the treatment of genotype 1, 2, 3 or 4 chronic hepatitis C virus (HCV) infection as a component of a combination antiviral treatment regimen. One Tablet once daily with or without food. Should be used in combination with Ribavirin or in combination with Peg-Interferon and Ribavirin for the treatment of HCV. 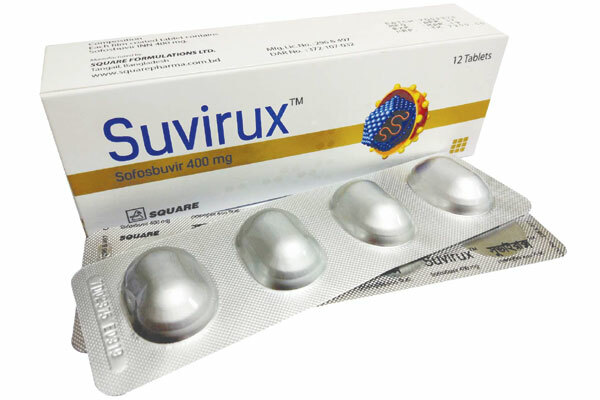 Suvirux™ Tablet: Each box contains 12 Tablets in blister pack.